Canada is not only the number one country in the world for quality of life, our beautiful nation is also home to one of the most powerful passports in the world. 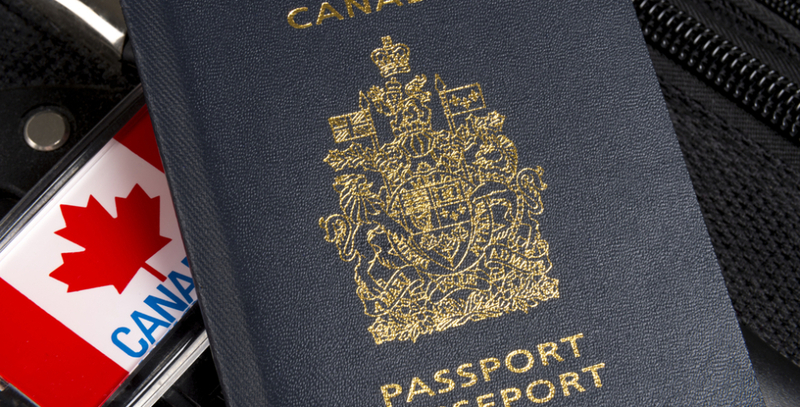 Canada has tied for sixth place on a global survey that ranks how powerful passports are from each country in the world. And while that’s a great ranking, it’s actually down one spot from last year when it was ranked in the top five. It’s all about global mobility; the freedom to travel and move around the world, and according to The Passport Index created by Arton Capital, it’s based on the number of countries which grant visa-free access to each passport holder. Singapore takes the top spot this year out of 94 rankings assigned from a pool of 199 countries considered. This also happens to be the first time an Asian country has dominated the passport index (Germany was #1 in the last ranking). The powerful ranking is a reflection of the country’s positive diplomatic relations and affords its citizens visa-free border crossing at 159 countries. At the bottom of the list is Afghanistan, whose passport holders are limited to just 22 countries that allow them to breeze through borders without being subjected to heavy vetting. Canada ties for sixth most powerful passport with Malaysia, Ireland, and the United States with a VFS (visa-free score) of 154. Canadian passport holders will find themselves welcome to enter 113 countries visa-free and with visas on arrival in an additional 41 countries. 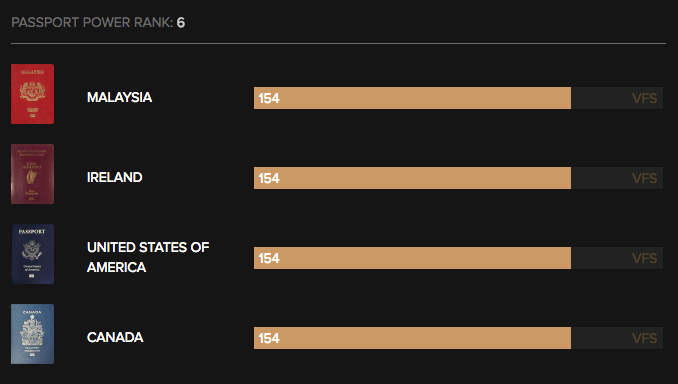 Another important takeaway from the updated index is that the US passport has also dropped in ranking since President Donald Trump took office last fall. 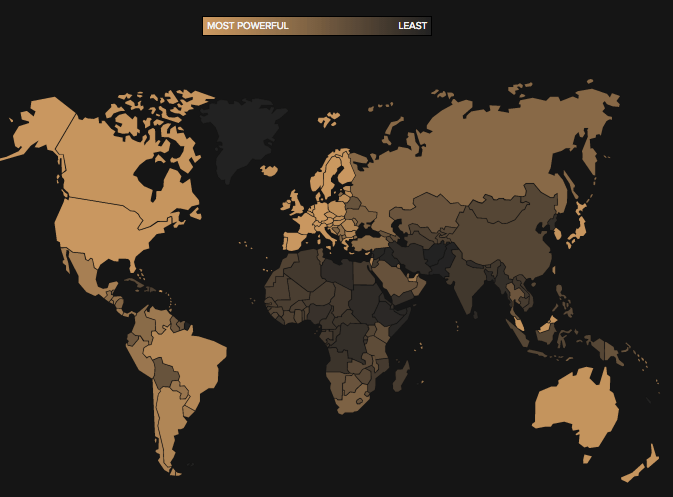 Perhaps what’s most surprising is how, despite public perception of being a welcoming nation, Canada actually ranks rather low when it comes to reciprocating. When it comes to welcoming others into our country, Canada ranks 79th, requiring visas from all but 51 other nations when opening our borders.